Last week, a construction crew was digging. This was part of work on a new fire and police building. It is in Thornton, Colorado. They unearthed a prehistoric treasure. It was an ancient triceratops fossil. The discovery is especially notable. 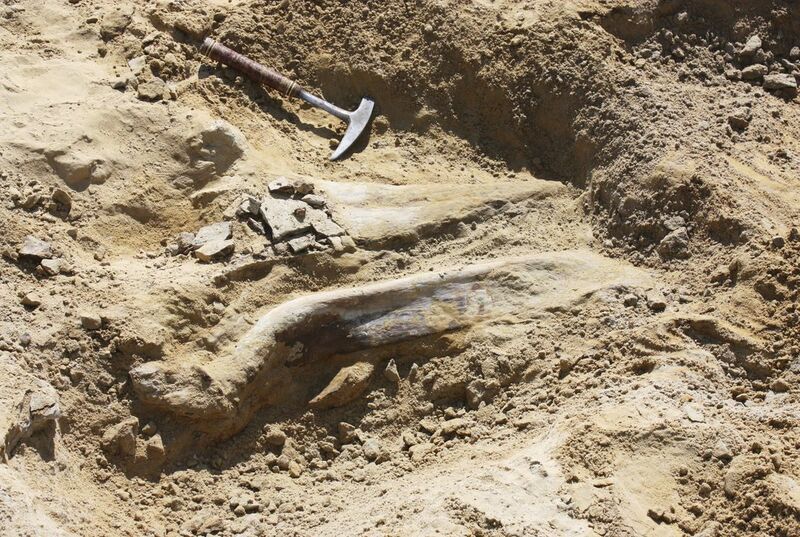 That’s because the remains include the triceratops skull. This is one of just three believed to have ever been dug up in the Front Range of the Rocky Mountains. That's according to Danika Worthington of the Denver Post. 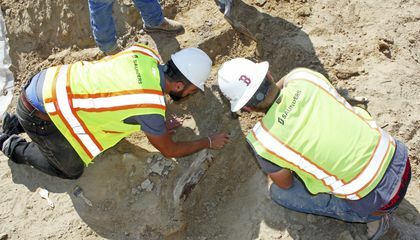 “I’m over the moon right now about this dinosaur fossil," said Joe Sertich. He's a paleontologist. He works at the Denver Museum of Nature & Science. Thornton officials brought Sertich in earlier this week. They had him confirm the discovery. He began the work of excavating it. He hopes to see the fossil exhibited. He wants it in his museum once it's dug up and preserved. The Front Range is densely populated. It is a heavily paved metropolitan area. People rarely dig far enough down to reach some of these older layers. Those might contain dinosaur fossils. And when they do, they often are just plowed right over. Triceratops have long captured the imagination of dinosaur lovers. The first skeleton was assembled and mounted in an exhibit at the Smithsonian's National Museum of Natural History. That was in 1905. It was named "Hatcher." This was in honor of a pioneering paleontologist. His name was John Bell Hatcher. He discovered most of its bones. The beast was cobbled together from a patchwork of parts. It was hardly anatomically accurate. But it was still awe-inspiring to visitors. The Washington Post called it "the most fantastic and grotesque of all that race of giant lizards known as dinosaur." That was according to Sarah Kaplan of The Washington Post. Triceratops were among the last living dinosaur species. It was large. It was a herbivorous dinosaur. It sported two horns on its forehead. It had another at the tip of its snout. Its name literally means "three-horned face". Triceratops has become famous in pop culture. They have made appearances in films. The films include "Jurassic Park" and "The Land Before Time." It has even made its way onto postage stamps.